It is unclear that a nuclear deal between the U. S. and Iran will take place. However, if there is a deal, it is guaranteed that those who opposed it from the start will try to sabotage it. The Republicans and several Democrats in Washington, the Likud government of Benjamin Netanyahu and special interest groups such as American Israel Public Affairs Committee (AIPAC) do not want any deal that will benefit Iran’s peaceful nuclear program because they say that Iran wants to build nuclear weapons. 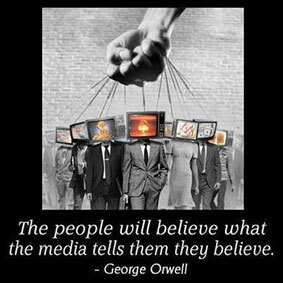 The main-stream media (MSM) will most certainly jump on board and launch a new propaganda campaign against Iran. In fact, it has already begun. A new story posted by the online magazine “The Daily Beast’ makes accusations that Iran can possibly have a “secret nuclear program” in North Korea. These accusations are not new by any means, but before we get into the article, I want to highlight the most important principle to journalism, and that is telling the truth with fact-based evidence. The Pew Research Center’s (PRC) ‘Principles of Journalism’ states that“Journalism does not pursue truth in an absolute or philosophical sense, but it can–and must–pursue it in a practical sense. This “journalistic truth” is a process that begins with the professional discipline of assembling and verifying facts.”When verifying the facts on any particular issue, it is also important to verify its sources as PRC accurately describes“Journalists should be as transparent as possible about sources and methods so audiences can make their own assessment of the information.” ‘The Daily Beast’ just released a story by Gordon C. Chang, a columnist who also writes for the New York Times, the Wall Street Journal and forbes.com titled ‘Does Iran Have Secret Nukes in North Korea?’ It is a serious claim to suggest that Iran might have a “Secret” nuclear weapons program hidden in North Korea. How did he come to this conclusion? According to Chang, there was a “technical cooperation pact” between Iran and North Korea that took place in November 2014 according to the Washington, D.C. based National Bureau for Asian Research (NBR). NBR’s report conveniently fits Chang’s view that Iran and North Korea’s has a secret nuclear program disregarding the fact that Iran and North Korea made a pact to strengthen their ties in the economic, trade, science and educational spheres which both sovereign nations are supposed to do. Chang believes that “the unconfirmed dispatches make sense in light of the two states announcing a technical cooperation pact the preceding month.” It is also important to mention that the NBR has several well-known members who have a significant influence in the circles of Washington, D.C. One of the members is former Democratic Senator Joseph Lieberman who declared in a 2013 Wall Street Journal article that Iran is “the most dangerous challenge to U.S. national security.” Another figure in the NBR is Sam Nunn who was also interviewed in 2013 by Germany’s Der Spiegel and said “Now, we have a nuclear standoff between Pakistan and India, an Iran that is on its way to building the bomb and a North Korea bent on developing intercontinental nuclear missiles.”Well you get the picture. The former minister of defense, Ahmed Vahidi had “denied” the accusations calling it “just speculation” in 2012 according to the Tehran Times. “In a theoretical sense, there is nothing wrong with an accommodation with the Islamic Republic over nukes, yet there is no point in signing a deal with just one arm of a multi-nation weapons effort. That’s why the P5+1 needs to know what is going on at that isolated military base in the mountains of North Korea” according to Chang’s analysis.